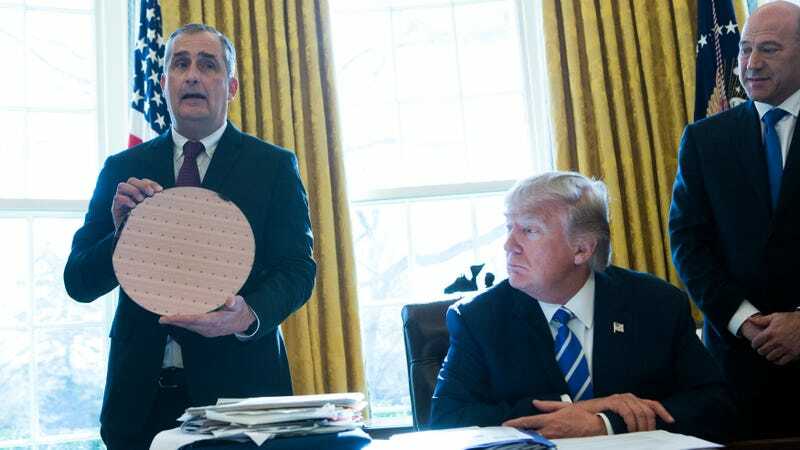 On Monday night, Intel chief executive Brian Krzanich announced his resignation from President Donald Trump’s American Manufacturing Council, making him the third chief to bail after Trump did not take a strong enough stance against the domestic terrorism that took place in Charlottesville, Virginia, over the weekend. Trump showed his disdain for Frazier less than an hour later with a tantrum in tweet form. Merck stock prices spiked after Frazier’s announcement. Hours later, Trump caved to pressure and made a stronger statement condemning racism, white supremacists, and neo-Nazis. But he later lashed out again at Frazier, showing he had more anger toward a leading African-American executive who shamed him than he had for a domestic terrorist who killed an innocent woman who was protesting white supremacy. The announcement came hours after Kraznich shamed Trump in a tweet. Kraznich also said that as an engineer who has spent most his career working in factories, he believes the political landscape is harming the progress of American manufacturing. “The current environment must change, or else our nation will become a shadow of what it once was and what it still can and should be,” he wrote. Update 12:00 pm: Scott Paul, president of the Alliance for American Manufacturing, has announced he is also resigning from the council. This means that six executives have left the council, including Elon Musk of Tesla and Bob Iger of Disney, who both left in response to Trump withdrawing from the Paris Climate Agreement. Update 6:00 pm: According to CNBC, AFL-CIO President Richard Trumka also decided to resign, following Trump’s bizarre exchange with reporters on Tuesday afternoon.